Recently-retired Senator Jeff Flake (R-AZ) is in talks with CBS News to join the major broadcast network, according to a report. Flake, who was among the Senate’s most vociferous critics of President Donald Trump, was reportedly seen at CBS News’ office in Manhattan Friday. 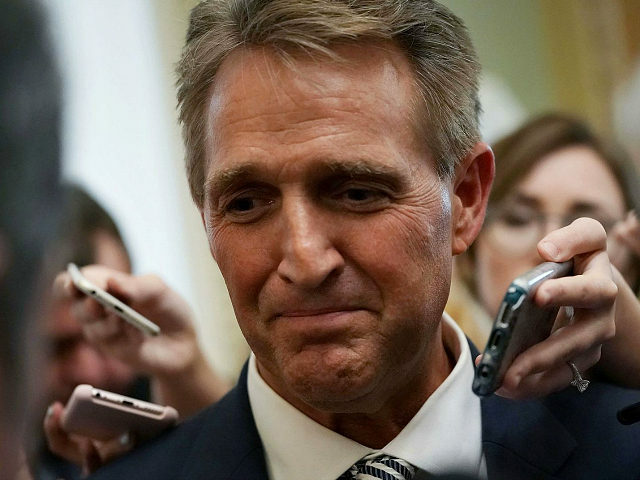 While details are few about the role Flake is in negotiations for, the Hollywood Reporter says the ex-lawmaker could “serve in the standard role for ex-politicians, as an on-air contributor — or as something more.” Flake, nor CBS News would comment on the report. Speaking to reporters last week, President Trump criticized Flake and then-Sen. Bob Corker (R-TN) for their long-standing criticism of him and predicted the Arizona Republican would likely take a job at CNN. The Daily Beast previously reported Flake met with CNN president Jeff Zucker and MSNBC president Phil Griffin to discuss a pundit gig. “That’s down the road—that’s six months,” Flake chuckled when asked about the reported meetings. 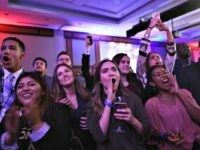 On Monday, CNN announced Rep. Luis Gutierrez (D-IL) and Mia Love (R-UT) as new political commentators for the partisan network.